You can only reach Elfin Cove by boat when there’s enough water in the gut. That’s how secluded the Southeast village is, a fishing destination in the summer and a sleepy community about a dozen souls in the winter. But what is it like to be the only young family living there? 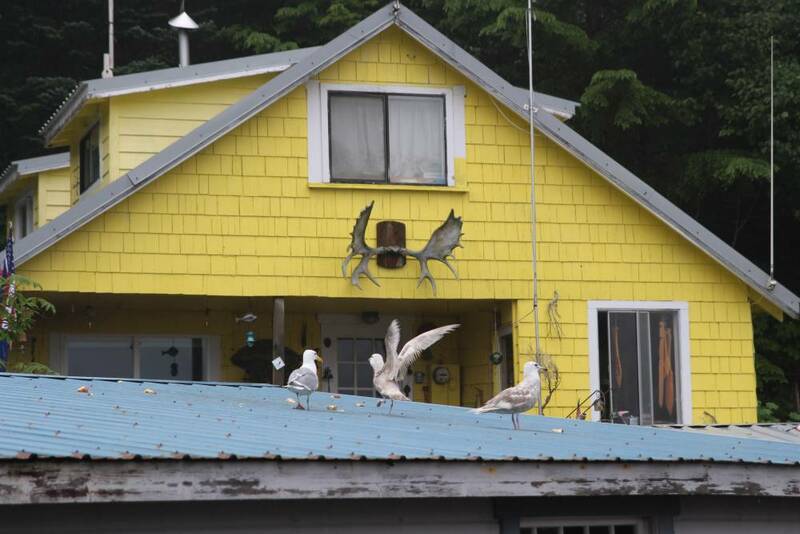 KCAW’s Emily Kwong met Elfin Cove’s newest residents as the settle in for their first winter. Paige Crump is eight-years-old. She swings her arms as she walks, past the box of free stuff, the memorial to those lost at sea, and the pit where all the town’s garbage is burned. The boardwalk is slick with freshly fallen rain. 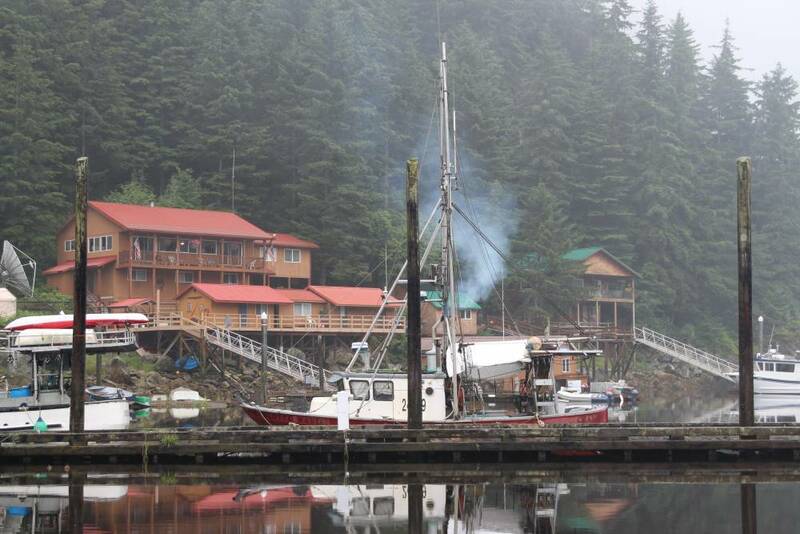 Paige’s dad, Kelly Crump, is the owner of the Waters Edge Lodge and president of the Elfin Cove Community Association. But come fall, there’s a big exodus in Elfin Cove when the fishing lodges close and a lot of people go down south – including the Crumps. Paige and I are headed to the fuel dock. A young family has moved to town and will stay through the winter. It’s the biggest news story of the year here. Paige introduces me to Japeth Rupp, who came to Elfin Cove this year to manage the fuel dock. Picture a gas station, but for boats. He sells candy – Hershey Bars, Snickers, Reese’s – and soda behind the counter. Rupp has a cheerful buoyancy to him, joking around with fisherman as they radio the dock to buy fuel. Atroller comes by. It’s pouring rain now. 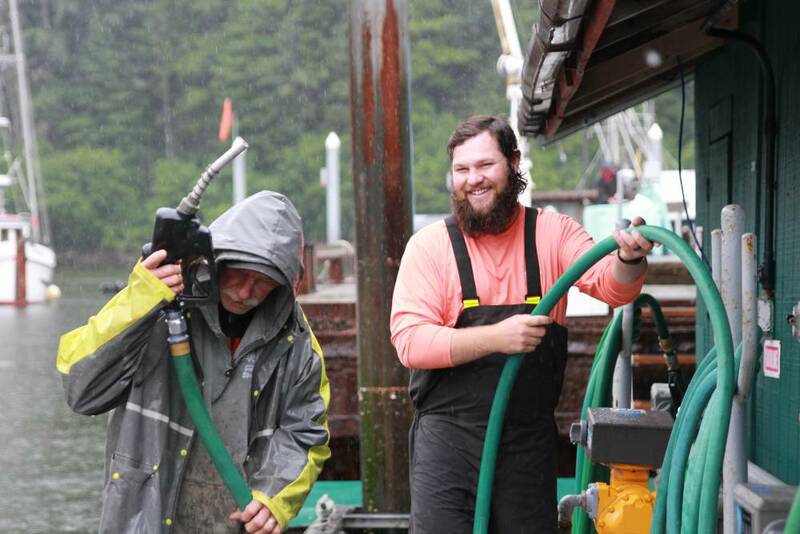 Rupp works the dock in waders, a sarcastic grin on his face. “The water is beautiful. It’s so inviting. I want to swim in it,” he tells the customers. They laugh. The rain continues at a relentless pace. Japeth fills up the tank and sends the boat on its way. He tells me that an entourage of fog has a way of settling in Elfin Cove and staying. “If you wanted to know what a raindrop felt like, move to Elfin Cove. You always feel like you’re in a cloud. If you’re not in the cloud, you’re falling out of the cloud or the cloud is just above you,” he says. There’s a patch of cell service at this end of town, but otherwise, nothing but you and your thoughts – which is partially why the Rupps jumped at the chance to come to Elfin Cove. This time last year, the Rupps were living in Ogden, Utah. Japeth was working at a hunting store. “I spent so much time at work, at my previous job, either commuting in a car or being at work that I wasn’t really readily available for my wife and son. So that’s why we looked for this kind of a job,” he says. 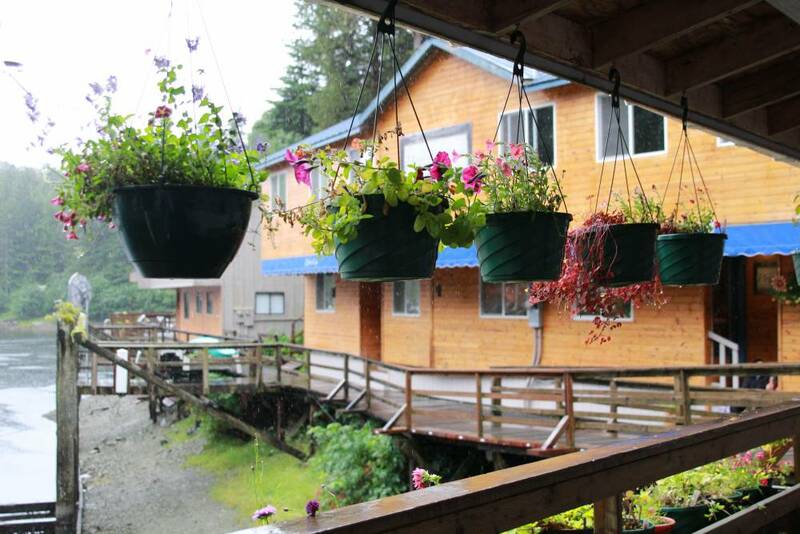 Japeth has worked in Alaska before, at a lodge in Excursion Inlet back in 2005. When his old boss Kelly Crump – Paige’s dad – called with a offer in Elfin Cove, the Rupps went for it. I meet Jennie, Japeth’s wife, and their one-year-old son Rockwell in their apartment. “Where we were [Ogden, UT], there’s just a lot of people and a lot of traffic,” Jennie tells me. That’s not my thing. So I was excited for this opportunity. 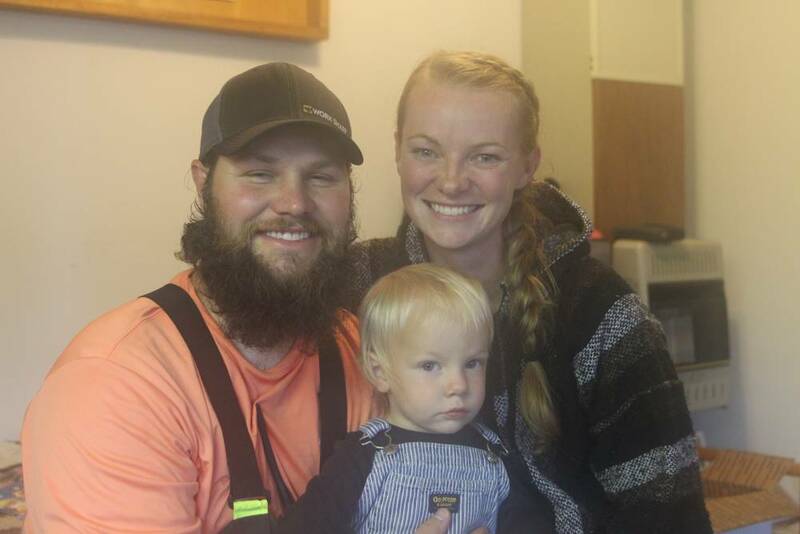 Both Jennie and Japeth grew up in small towns – Sheridan, MT and Morgan, Utah respectively. They craved a life where they could spend a majority of their days as a family together. Rockwell, their one-year-old son, is a familiar face at the fuel dock. Jennie says visitors are pretty surprised to see a person so young in a town so small. “I wish I could tell you how many random people have pictures of us, but I can’t! It’s like we’re in a museum and we’re one of the things that look at, a painting,” she says. Locals keep an eye on them too, cautioning the couple early on to always keep Rockwell in a life jacket near the docks. 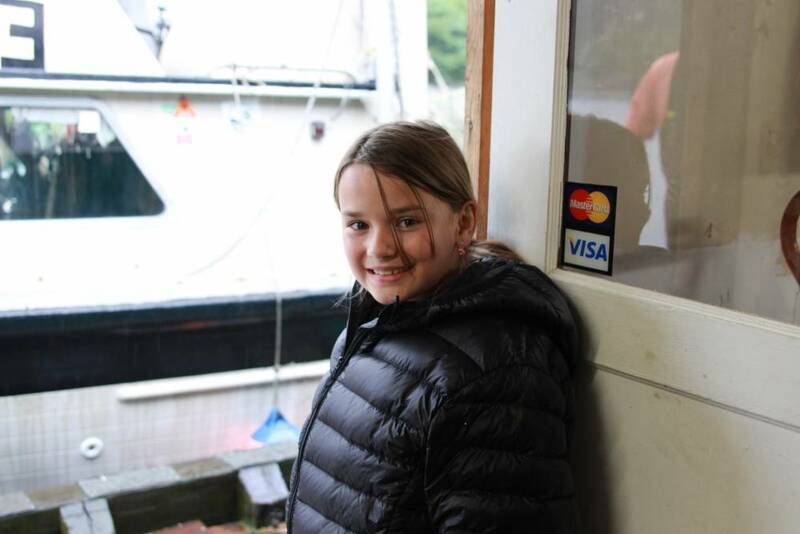 Japeth remembers when first moved to Elfin Cove in April 2018. “You get all the stories about all the kids that have fallen in – right – and so you’re just kind of like, ‘Oh yeah, okay.’ He never fell in. Literally a week’s time span he fell in twice. Once he got over the cold factor, the shock, he would have rather swam than had us pick him out of the water.” Rockwell’s love of the water is on full display when I visit, calling it “wah-wah “. Japeth says the family hopes to stay in Elfin Cove until Rockwell is of kindergarten age, then enroll him in a public school elsewhere to meet other kids. But for now, they’re buckling in for their first winter in Elfin Cove. Kelly Crump is glad they took the offer. I find him across the hall – their apartments were right next door – settled into a chair by the window. Crump: There’s a lot of older people here. It’s going to change pretty soon. We’ve got to have new people come in to take their place. Great to have young families move in here. KCAW: How long do you hope he stays? Crump: That’s going to be interesting. If he can make it through this first winter, that’s a pretty big deal. And then we’ll just kind of go from there. So far, so good. It’s December now and the Rupps are pretty much running Elfin Cove. Jennie manages all the planes and runs the Post Office. Japeth does pretty much everything else. In addition to his fuel dock duties, he’s taken over the general store, the generators, and many properties that would otherwise lie dormant during the quietest months of the year.